Hurricane Irma – What to Do If You Cannot Afford to Make Your Mortgage or Student Loan Payments? Payments to Rehabilitate Defaulted Loans (§674.39). During the time a borrower is affected by a disaster, an institution should not treat any scheduled payment the borrower fails to make as a missed payment in the stream of nine on-time, consecutive, monthly payments required for the borrower to rehabilitate the defaulted loan. When the borrower is no longer affected by the disaster, the required sequence of qualifying payments may resume at the point at which it was discontinued. For federal student loans, the U.S. Department of Education allows for a special kind of disaster forbearance for up to three months for areas that have been declared a federal disaster area – this includes most of Florida. The forbearance is not automatic, however, so you’ll need to talk to your servicer and request this disaster related forbearance. If you have payments on an auto-draft, you may need to call and cancel them by contacting your servicer and requesting a forbearance. You may qualify for an income based plan, or a reduction in a current income based plan such as IBR, Paye, Repaye, ICR etc. Not all plans are the same, however, and it s a good idea to consult with a student loan attorney about the various options. If your mortgage is owned by Freddie Mac, and you are located in a major disaster area, you should contact your servicer who may be authorized to suspend mortgage payments for up to 12 months, waive assessments of penalties or late fees for those with disaster-damaged homes, and suspend credit reporting of delinquencies caused by the disaster. You may also be eligible for a home loan modification. You should contact your servicer as well as the Department of Housing and Urban Development at 1-800-569-4287. Fannie Mae has similar programs for forbearance of up to 12 months. They are also authorizing servicers to suspend or reduce homeowner mortgage payments for up to 90 days without contact. But beware of any forbearances that my require that you catch up all at once unless you seek a modification of your loan. Do you have a foreclosure sale coming up soon? Fannie Mae has announced they are suspending evictions until January 2, 2018 and foreclosure sales until December 31, 2017 for those areas impacted by Hurricane Irma. In the upcoming days and weeks, you may want to regularly check with the clerk of court or docket to see if your sale has been cancelled. You may be able to apply for state or federal assistance which can help to pay your mortgage, student loans or help with other expenses. You can apply online via this site: www.disasterassistance.gov. 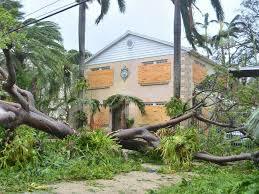 You can also call FEMA at 1-800-621-FEMA as well as start any insurance claim you may have. If you have further questions regarding your student loans or mortgage, please contact Christie D. Arkovich, P.A. for assistance.